← Giveaway: “Creole for Kidz” is coming to BlackRock Center for the Arts! Monday – Take a day trip out to Solomons, MD, to visit the Calvert Marine Museum, which highlights the environment and maritime history of the Chesapeake Bay. 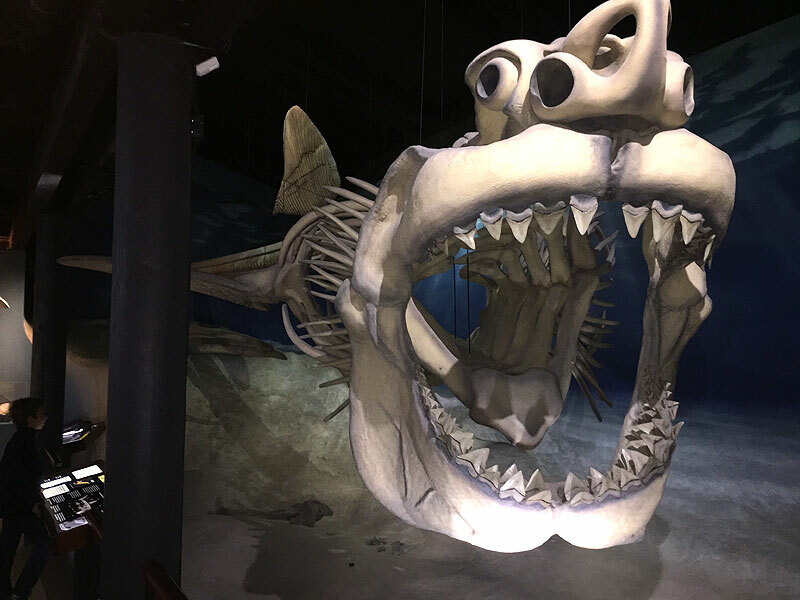 Fascinating exhibits, including display cases full of fossils and artifacts, live fish and other creatures, and a real lighthouse to tour are engaging for all ages. There are things to see both indoors and out, including beautiful scenic views. And you can bring along a picnic lunch to enjoy by the water. Hours are 10am – 5pm. Admission is $9/adult, $4/ages 5-12, free for 4 and under. Tuesday – Spend the day at Roosevelt Island, where you can enjoy a hike and a dose of history in one fell swoop. The trails are easy for little legs to tramp, and you can explore the Memorial Plaza to learn about the legacy of President Theodore Roosevelt. The entrance to the park is located right off the GW Parkway, just past the Roosevelt Bridge, and accessible only from the northbound lanes. Hours are 6am – 10pm, and admission is free. Get a little more of the KFDC take on it in this post about local walks in the woods with kids. Wednesday – Join The Art League Gallery Staff for an exciting “Mini Makers” art activity for children 5 years and under (with an adult caretaker). The session takes place 10:30-11:30am in Alexandria. Admission is free, but spaces are limited, so RSVP is required. Coffee and light refreshments will be served. Costumes are encouraged for this first meeting! You can also celebrate Halloween and autumn at the Downtown DC Fall Festival! All ages are welcome to Woodrow Wilson Plaza at the Ronald Regan Building for some FREE fun, including a petting zoo, pumpkin decorating, face painting, the DC Public Library Book Bike, musical entertainment, food vendors, hot cider, a hay bale maze, costumed stilt walkers, and giveaways. Wear Halloween costumes for photo ops! Thursday – Take advantage of The Beauvoir School’s day off and head to their super fantastic playground, open to the public when class is not in session. It’s open all day (Friday, too! ), and admission is free. Friday – Explore a true local hidden gem: The National Museum of the U.S. Navy. Located on base in the Navy Yard, it’s a trove of fascinating exhibits. See an amazing collection of model ships, peer into a real periscope, sit in the gun seats of old fighter planes, view naval artifacts hundreds of years old, and much more. Hours are 9am – 5pm. Admission is free. *Be sure to note requirements for access to the base and museum. Hey! The tickets for the downtown fall festival are :”sold out.” Do you need a ticket?